BlondeShot Creative: It's that time again- Babywearing Mini Sessions! UPDATE: We're all booked (in less than 24 hours)! Thank you. I'm so looking forward to capturing these sweet moments again this year! It's that time of year again... time for my Babywearing Mini Sessions! I've offered and sold out of these sessions for the past two years, and have had multiple requests to bring them back again this year. Get this special and short time in you and your child's life captured though babywearing portraits! 10 minutes of photo session, 2 high-resolution digital downloads, for just $40. This year, I'm ONLY offering FOUR sessions, which means you'll want to book a slot quick! Each session will last approximately 10 minutes long. The photographer will be taking a variety of photos of you wearing your child in your choice of either your own carrier, or in one that can be provided from us. 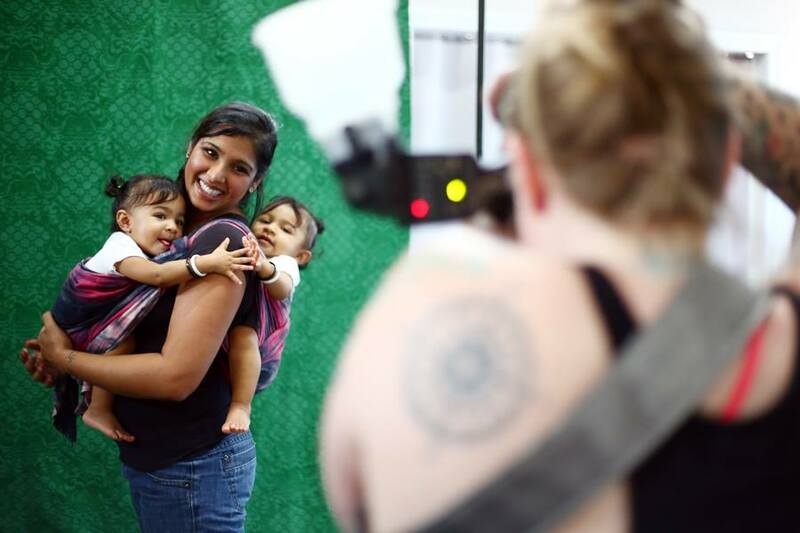 You may also choose to get a few shots (or the entire session) of your child "babywearing" their favorite doll or stuffed animal (a child's carriers can also be supplied). These sessions are good for newborns through preschool age. After the session, you will receive an email with a link to an online gallery of your images, with a promo code to download two (2) high-res files of your choosing. Additional images will also be available for purchase. Please allow up to four weeks to receive your image gallery. In addition to offering way less spots this year, there are two other things that are different from previous years. Instead of having to book on a specific day and time range, you can book your shoot for ANY time from mid September to mid October (from open dates)! The other difference, is that the background will not be chosen for you- you'll have YOUR CHOICE of 4 different options! Find photos from the previous two years HERE and HERE.